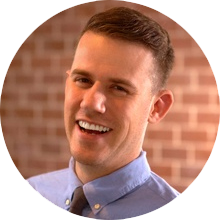 Okay B2B friends, what do you do when you’re on the hunt for fresh, relevant content marketing ideas and blog post topics sure to pique the interest of your target audience members? The answer is simple… Ask your prospects for input! Kicking off 2015, our client Travizon Travel Management – a globally recognized leading company in travel and technology – was in the process of updating their editorial content calendar. As an exemplary thought leader in the field, Travizon’s team does a wonderful job of staying on top of industry trends and remaining in touch with the needs of their prospects, partners and peers. They certainly are no stranger to customer service! So we put our B2B heads together and thought, why not create a survey? A targeted survey, of course, comprised of pressing industry questions and hot-button business travel topics we could ask seasoned travelers about in order to gain insights into what Travizon’s target audience wanted to learn that they weren’t necessarily getting from other resources. In exchange for their help, participants were promised a free copy of the results upon publishing. From the beginning, the survey was all about resonating with customer needs. After analyzing responses from over 200 participants (segmented based on job title, age group and travel frequency), we found the results were chock full of great data, illuminating several unanticipated insights. The full value of the survey had not yet been realized, hence we crafted a campaign that would leverage the 2015 Business Travel Survey as a lead generation tool to boost both traffic and conversions. Below are the campaign components we developed and promoted with Travizon, broken into three phases accompanied by their respective results. The 2015 Business Travel Survey questions: One of PMG’s talented copywriters teamed up with subject matter expert and Travizon EVP, Global Account Services Anita Salvatore to develop the content for the survey. Leveraging both key industry information and her knack for writing compelling material, our content marketing specialist whipped up fun questions that would entice the modern business traveler to fully participate. You can view the survey here! Preliminary targeted emails: In order to publicize the survey, we created two emails directly requesting participation – the second email touting the interesting initial responses we received after the first wave. We simply asked qualified contacts from Travizon’s database who had indicated an interest in business travel if they would be willing to fill out the survey. In the body of the email, a link to the questions was provided, and contacts were made aware that all respondents would receive a copy of the results as an incentive to contribute. 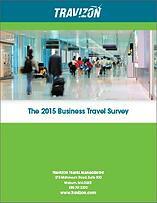 Results: Over 200 business travelers filled out the 2015 Business Travel Survey. For questions that offered an “Other” choice, many respondents were motivated to fill in these blanks with additional comments and advice. Enough demographic information was collected in order to divide respondents into categories based on their age bracket (Millennials, Gen X, and Baby Boomers), their job title, and the amount of traveling they do for work. What Really Makes the Modern Business Traveler Happy? Social outreach: We also produced social posts via Twitter, LinkedIn and Google+ in order to promote this set of informative blog posts to Travizon’s social audience. Opportunity to Pre-Register: To support traffic and lead generation efforts, we created a landing page series to give interested prospects the chance to register in advance for a free copy of the published survey results. We created a very simple Call-to-Action button that would link to this offer’s landing page, and positioned this button at the bottom of each post. Results: The pre-registration landing page had a submission rate of nearly 30%, as well as a new contacts rate of nearly 20%. This data represented a solid start to achieving the campaign’s secondary objective. The Full Report: PMG’s inbound marketing specialist and senior graphic designer collaborated with Travizon to produce the final report, showcasing the complete results of the survey in a well-packaged, sleek design. The landing page was updated, and the business travel data went up for grabs! Happen to be interested in all the details? You can view the 2015 Business Travel Survey – Full Report here to get the scoop. Promotional email: After an email containing the Full Report was sent to participants and early registrants, we publicized the new offer’s landing page in a second email to many of Travizon’s contacts. Industry press release: Finally, PMG worked with Travizon’s Anita Salvatore to craft a press release that would catch the eyes of news outlets and industry publications. The press release was delivered via a targeted newswire service and was also reprinted on Travizon’s website. Results: We are happy to report that the current conversion rate of the 2015 Business Travel Survey landing page is a very strong 42%! The email sent to Travizon’s target audience also exhibited nice open and click-through rates, fueling a chunk of these conversions. As for the press release, the content was syndicated across 266 various websites and received nearly 300 interactions (reads, prints, etc.)! So what was the overall impact of this campaign? According to our HubSpot Attributions report, the landing page and blog posts have been credited with a respectable amount of conversion assists since May – about 5% of brand new contacts generated in the last three months viewed at least one of these pages before converting. In the month during which the full report was published, organic traffic jumped 14% and email marketing traffic also increased by 15%. The report has provided a progressive profiling opportunity, as a sizeable number of contacts already in the database engaged with this content and “reconverted” on the campaign’s landing page. This will help Travizon continue to effectively market to these prospects. Travizon’s thought leadership contributions have prevailed once again, as the survey reveals captivating findings on subjects such as business travel in the sharing economy, traveler tracking, and meetings management, as well as a striking gap in mobile policy awareness. And of course, Travizon has plenty of spiffy new material for their content marketing program moving forward! We hope to see these figures grow as Travizon continues to leverage this resource as an integral piece of their inbound marketing program. Cheers to our friends at Travizon! We can’t wait to see what you’ll be publishing next.